In this Dealers Casino Review we will take a closer look at this white label casino that holds gaming licences from both the United Kingdom Gambling Commission (UKGC) as well as the Malta Gaming Authority (MGA). Despite being a relatively young Casino, Dealers Casino, founded in 2016 makes sure to offer their customers a wide range of traditional casino games, online pokies and live dealer games. The Casino operates in New Zealand, United Kingdom, Germany, Norway, Denmark and Finland and offers customer support in each of these languages. With its easy-to-navigate platform it is clear that the focus for Dealers Casino is the customer experience. The platform guarantees a state-of-the-art casino experience whether you are playing traditional casino games with live dealers or video slots – the graphics are always on point! First-time registrations can expect a generous bonus of a 100% match up on the first deposit on up to $200. 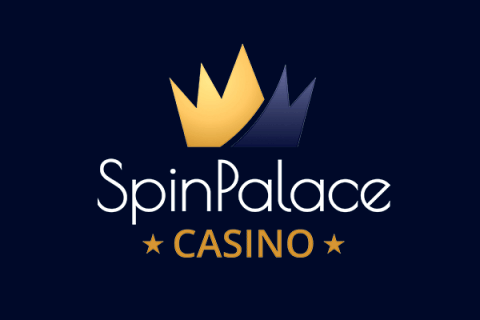 Furthermore, new customers are given a total of 200 welcomes spins, which is very generous as the minimum deposit to be eligible for the welcome bonus is only €10. The 200 welcome spins can be used on slot machines such as: the magnificent Starburst, Astrodice or Spinata Grande. To be clear the spins are not given all at once, rather the new customer receives 20 spins at first deposit and then 20 new spins the following 9 days. This one of the best free spins bonuses NZ is put into the account when the customer logs in, so it is actually very easy to receive the spins. Day 2-9: 20 spins upon login. As the “Dealers Casino” indicates this New Zealand real money online casino has a lot of live casino games to offer. They provide a real-life casino setting for the users to challenge themselves, through the supplier Evolution Gaming. Moreover, the casino also offers a great variety of table games, online pokies and scratch cards. Some of the suppliers consist of key players in the online gaming industry such as Nyx, Play’N Go, Microgaming and NetEnt. Users of Dealers Casino can enjoy over 175 online slot machines, and to make sure that players are not bored 2-5 new games are added each week. This way there is always something new to try. The slot games include classics such as Gonzo’s Quest as well as new and exciting titles such as Vikings (a game based on the popular TV series). In their online magazine users can find a section where the new games and their features are listed. The best part of the Dealers Casino online slot assortment is that most games have a Return To Player (RTP) of 93-98%, which means that playing these games include a high chance of increasing their casino balance. Dealers Casino offers their users a wide variety of classic table games such as Blackjack, Roulette, Craps and 3 card solitaire. As the name of this online casino implies, this is the top live casino online where you will meet casino dealers speaking in your chosen language. In the live casino games the user can challenge themselves in a thrilling game of Live Blackjack or try their luck with the Live Roulette wheel. These games allow the user to see the dealer but as Dealers casino operates in full discretion the dealer cannot see the player. If the user has any questions those can be posed through a live chat. The Dealers Casino platform operates on an HTML 5 responsive website that smoothly and without any issues or needs to download any apps works on all mobile or tablet devices. This means that the user can without any fuss enjoy this casino at any time. To provide users with security and a fair gaming environment, Dealers Casino uses a sophisticated SSL-encryption key. This way the users’ personal information and bank details are kept safe. Users can at any time, after registration, deposit money to their account through one of the various payment methods. 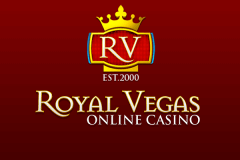 The most common payment methods such as VISA, MasterCard, Skrill card, PayPal etc, are all accepted by Dealers Casino. To withdraw winnings users can easily “Cash Out” from their account. The winnings are put into the same account that deposited the money. Depending on what payment method is used the withdrawal can take anything from 3-8 days, this is all very clearly explained and if the user has any questions support is easily accessible 7 days a week. In conclusion Dealers Casino provides users with a user-friendly platform, more than 175 slot games, table games and live casino games as well as updating its assortment with new games consistently, keeping its users constantly satisfied. The Welcome bonus is generous and fair. Receiving welcome spins for a total of 10 days guarantees a lot of entertainment.